We create videography that resonates with your audience. A video can transport you to new places, explain how to do things easier, or tell a story with emotion. Through the medium of film we can bring your product to life, giving you the edge over your competition. We have been shooting and editing videos since 2011 and we specialise in product, ‘how to’ videos, brand videos and product comparison videos. No other medium engages better than video, and with our long history of creating product marketing content, no one understands how to do it better than we do. At WK360 we create the storyboards, build the sets, choose the locations and edit the final video in-house using specialist camera and sound teams to suit the scale of the production or your budget. We excel in creating motion picture content to suit any industry. 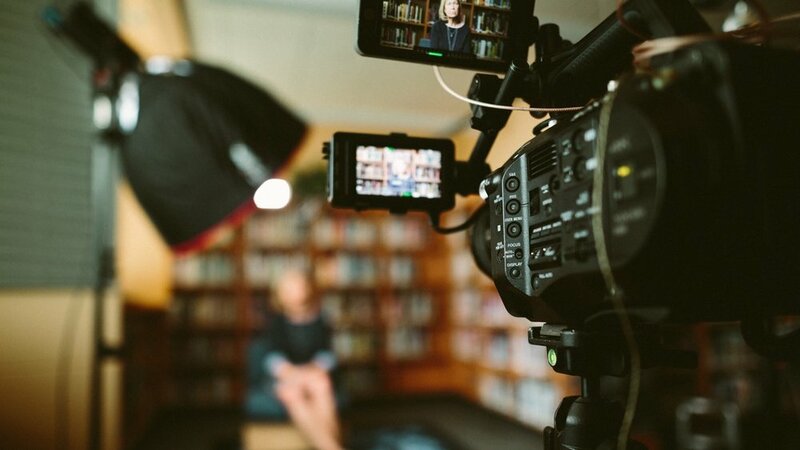 ‘How to’ videos, promotional ads, short films, or just launching a new product - there are a plethora of instances where your message is best expressed with video. Our recent video shoot with skincare experts Katherine Daniels allowed us to explore new and different creative routes. We have produced big-budget recordings for space & communications companies, as well as ‘how to’ videos for Black & Decker and DeWalt, and product benefit videos for WD-40. Big brands and agencies come to WK360 because of our vast editing experience, imagery expertise and top-class facilities. There’s flexibility for clients to work with their own creative teams or use ours - together we will create whatever environment necessary to produce the final result they want. Product videos are a particular specialism for us as an extension of our Product Photography team. With years of experience in finding that extra special element in every product, we will provide you with a product video that helps you create desire, highlight benefits, and much more. We created this informative product video for Aqualisa, to help promote a new range of bath and shower controls. The Bunzl Group wanted a promotional product video to help promote its own brand range of trade clothing for use in store, on web and socially. We’ve created over 140 videos for WD40 to showcase their Multi-Use product and Specialist product range, promoting the features and benefits of each to the Automotive, DIY & Trade and Industrial audiences. Translated into 8 languages for use around Europe, on web, in store and at events. ‘How to’ videos help brands connect better with their customers by showcasing their products and demonstrating what they can do. These videos can add unquestionable value - they are an immediate way of simultaneously generating interest, delivering your message, and getting your customers involved. We have produced demonstrative videos for all kinds of DIY product - from drills to protective clothing to lubricant - adding value to brands such as DeWalt, Black & Decker and WD-40. A good brand video tells the story of the brand in a single minded proposition that is easy to understand. At WK360 we work with brand agencies to develop exactly the right type of video for the brand through our studios and team of specialists. The University of Bedfordshire wanted a short video to outline their strategic plan for the coming years, to engage with staff and their ambassadors. Quadro came to us wanting a short promotional video they could use to explain who they were and what services they offered. Nightingale Hospital wanted a promotional video to introduce a state-of-the-art new services they were offering to their customers. Consumer trends are moving towards own brand and cheaper alternative brands. We help our clients combat this with product comparison videos. Product comparison videos can show the difference between top brand products and cheaper alternatives. These types of videos are incredibly effective in highlighting the USPs of your product - just check out the video we produced for WD-40 to see what we mean. According to Forbes, Internet video traffic is predicted to be over 80% of all consumer Internet traffic by 2021. We’re almost there already, so get ahead of the crowd and give us a call.